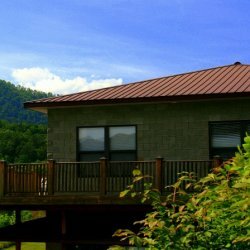 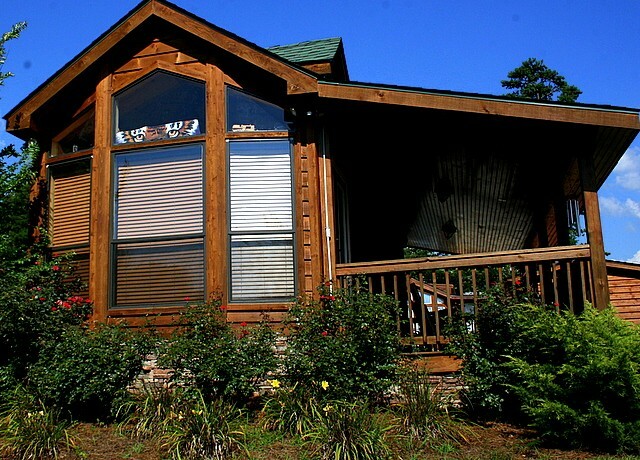 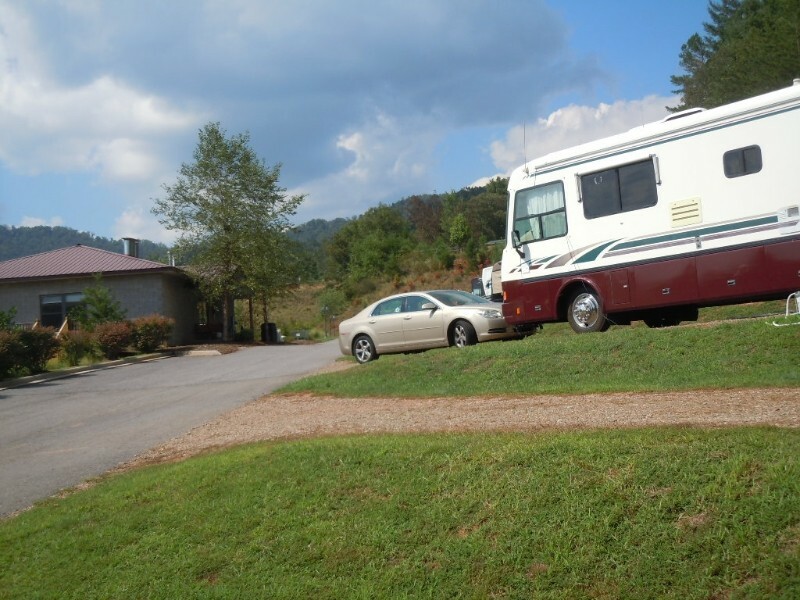 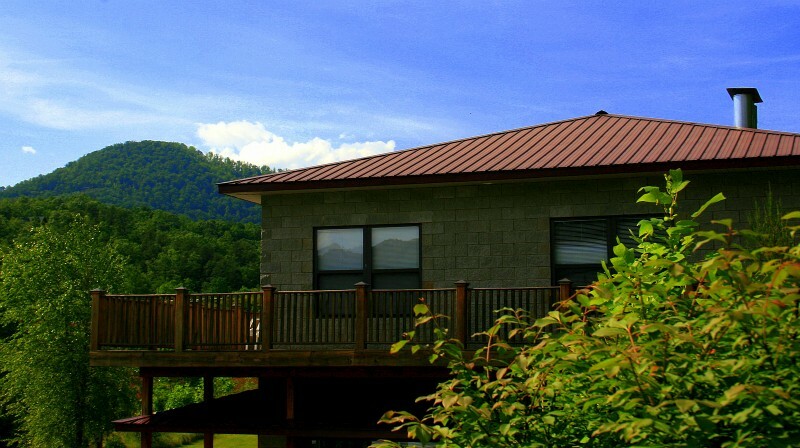 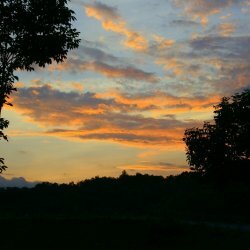 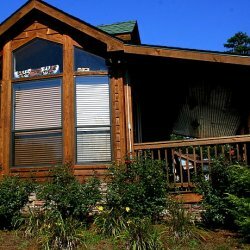 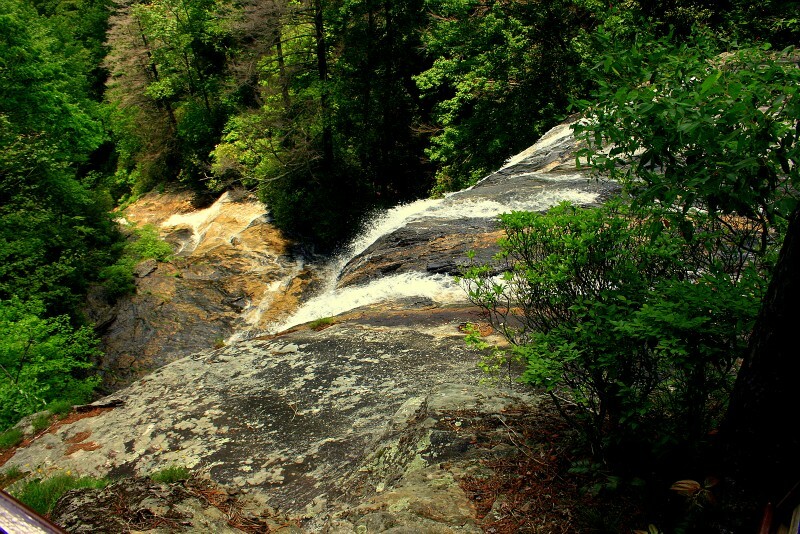 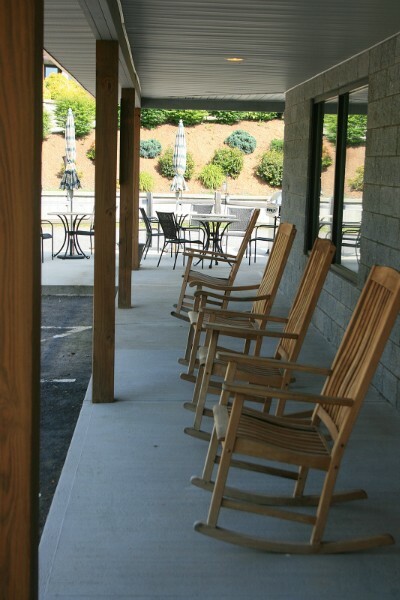 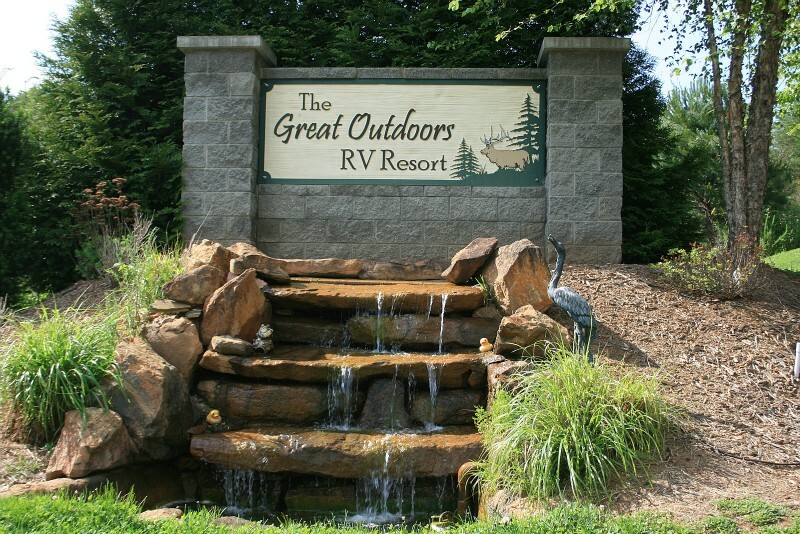 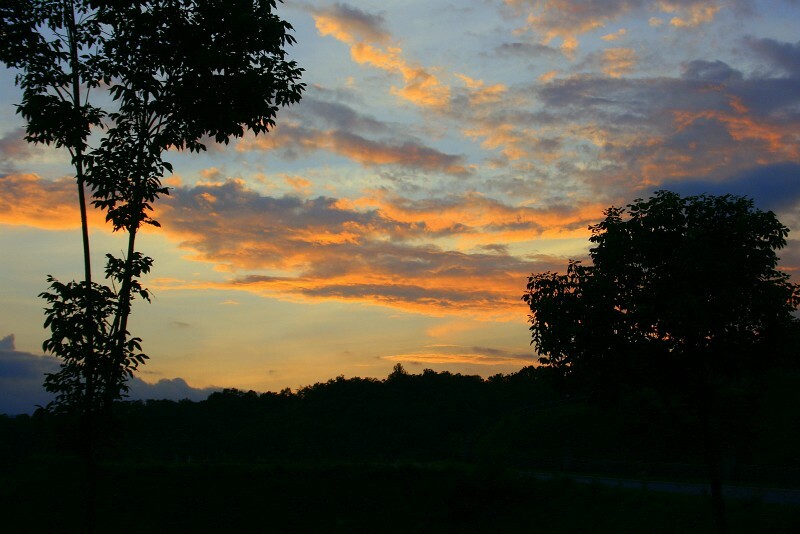 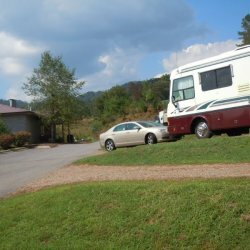 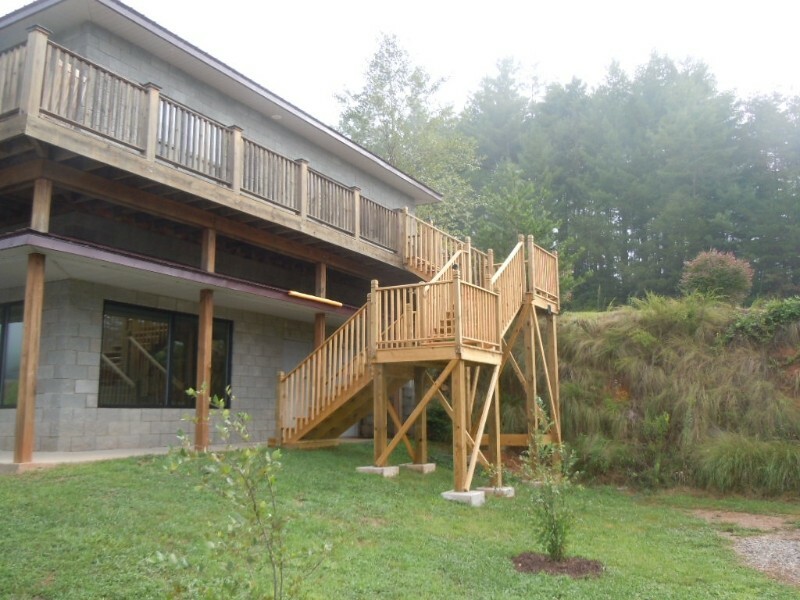 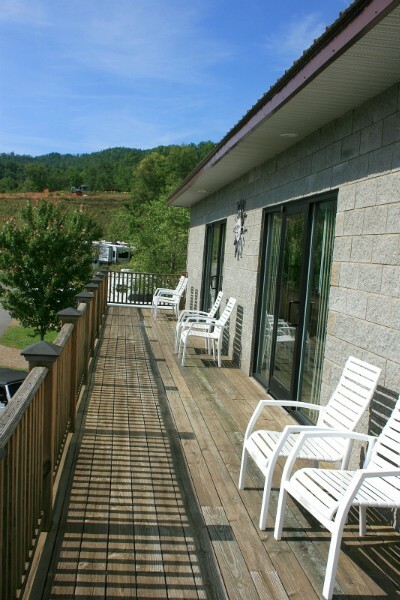 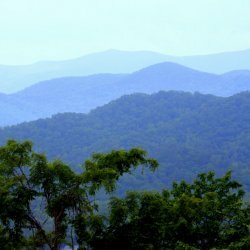 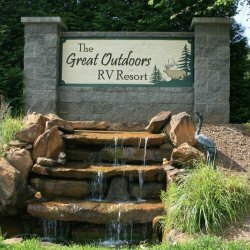 Our resort is located in the Smoky Mountains of Western North Carolina. 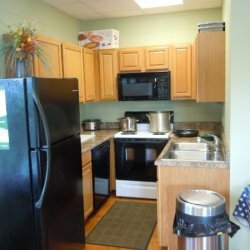 We are happy to be here, and you will be, too. 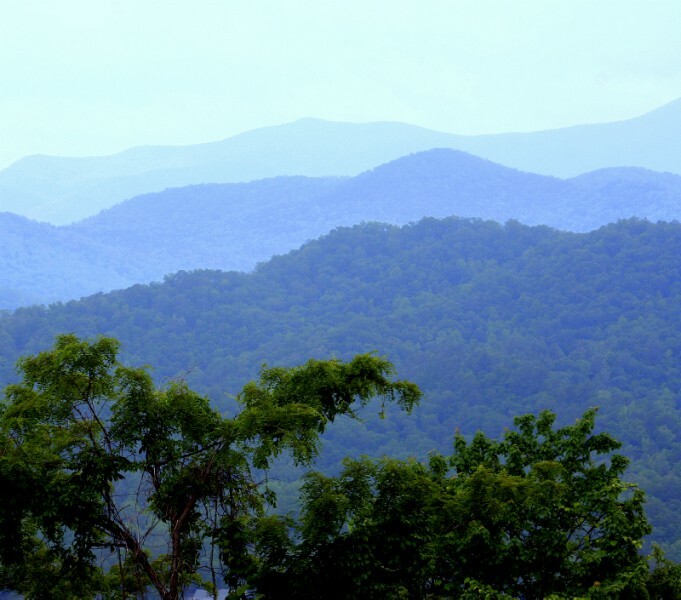 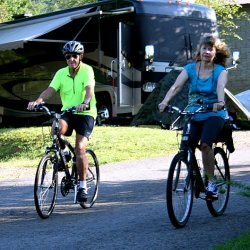 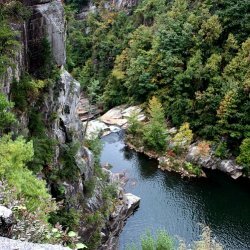 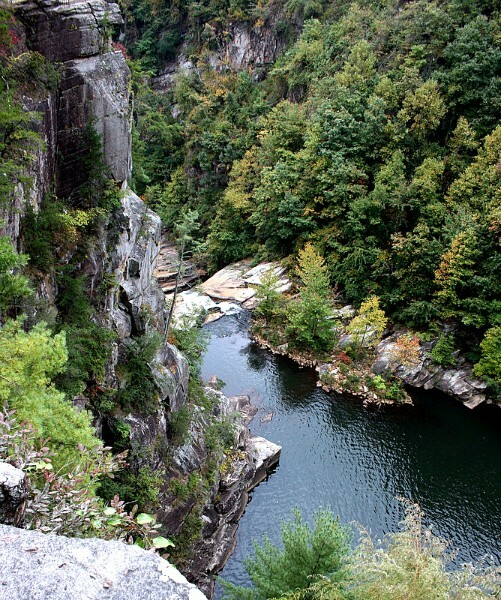 The park is surrounded by the Great Smokies and the Blue Ridge Parkway. 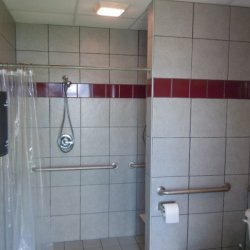 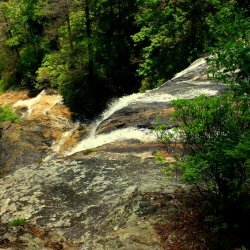 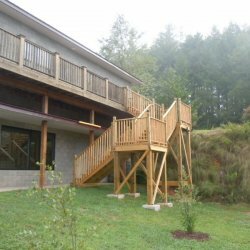 We are conveniently located off of HWY 441, about two-hours north of Atlanta, an hour south of Asheville, and close to Cherokee. 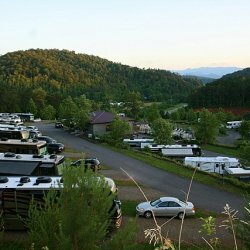 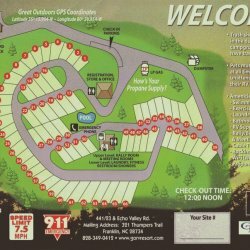 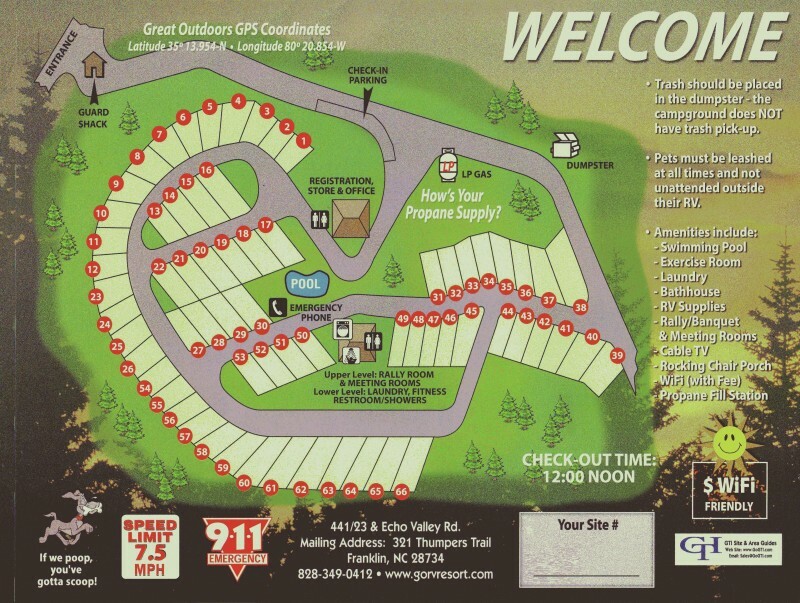 We have EZ access, big rig sites within a wooded setting with beautiful mountain range views and spectacular sunsets. 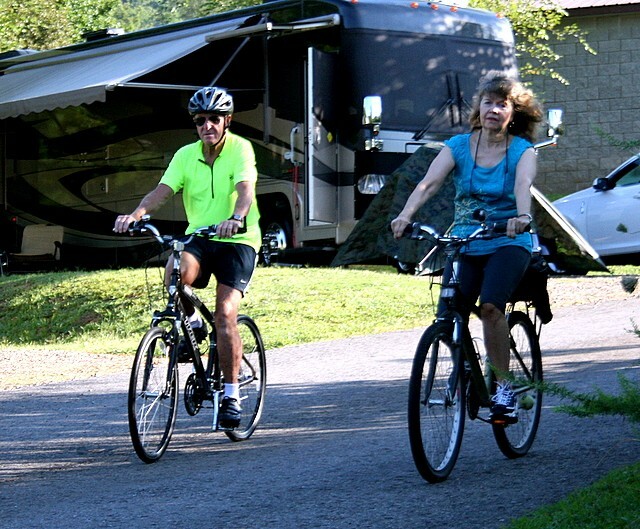 We are proud to be named in the top 300 out of 12,000 parks inspected in the US by Trailer Life for 2012. 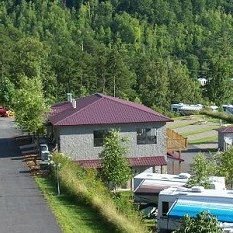 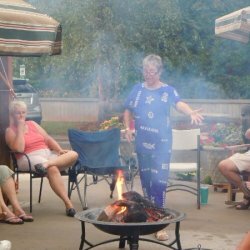 Our new rating for 2013 for the now combined Good Sam’s/Woodalls/Trailer life is a stellar 9.5/10*/9.5 for 29 points out of a possible 30. 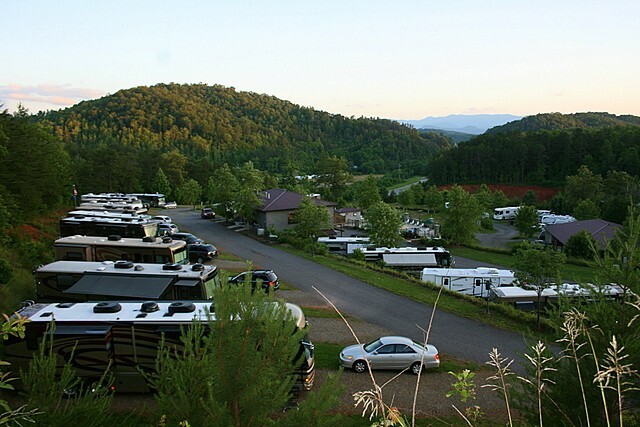 We are well-equipped for rallies, and many rally groups have visited us numerous times. 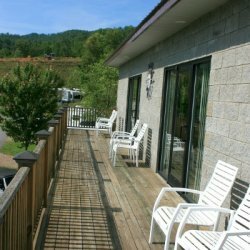 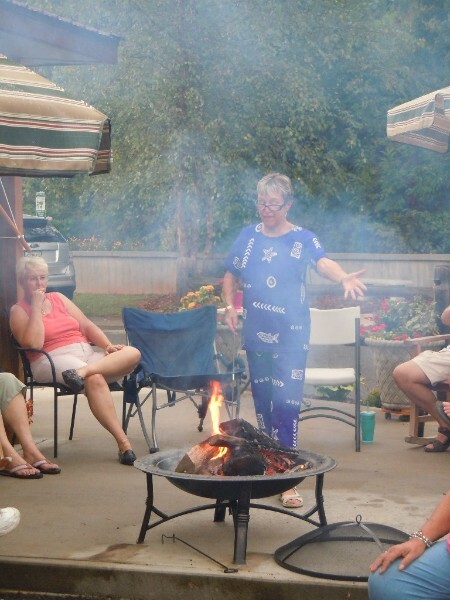 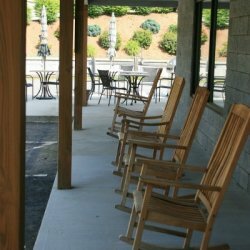 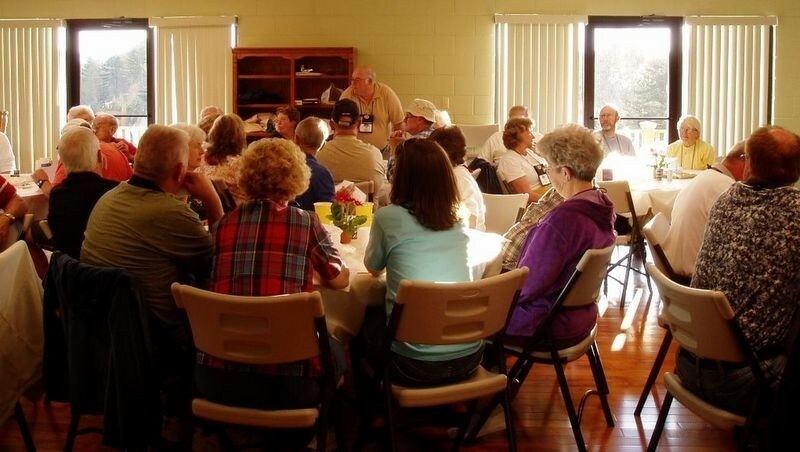 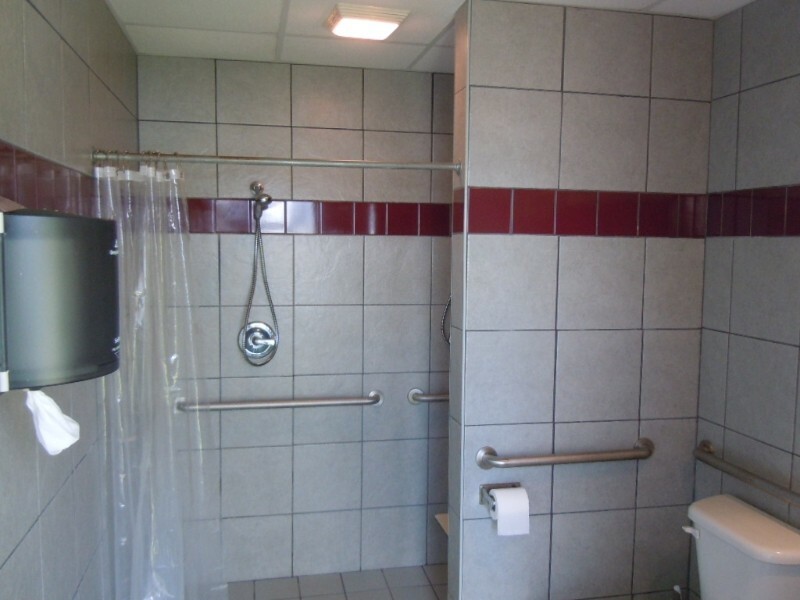 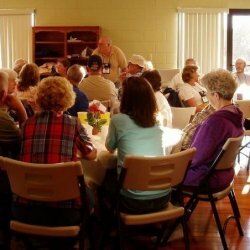 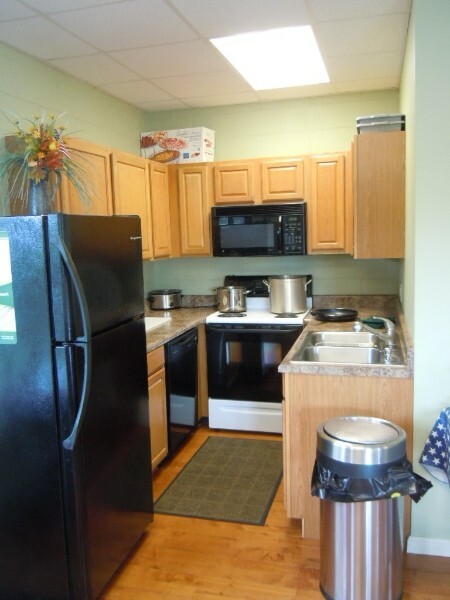 Our clubhouse features two full kitchens, restroom facilities, wide-screen TV, WII entertainment system, rocking chair porch, and fabulous mountain views.